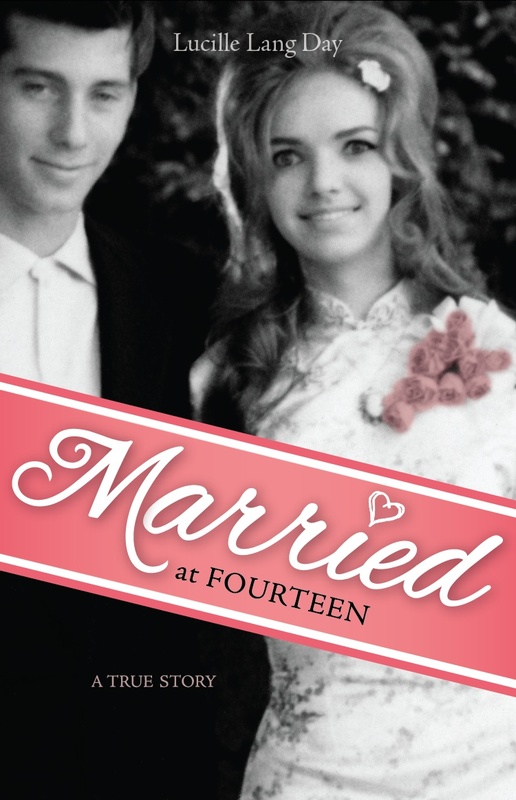 Why did you get married at fourteen? Because no one proposed when I was twelve or thirteen. Seriously, my mother was emotionally abusive. She’d also been physically abusive until I was ten, and I wanted to get away from her. She was not a bad person or a crazy person, and I don’t believe she was fully aware either of what she was doing or of how it was affecting me, but by the time I reached adolescence, I found it unacceptable to continue living with her, and I thought I could get away from her and make my life right by falling in love and getting married. Of course, I ended up in another troubled, problematic situation from which I also had to escape. In addition to having problems with my mother, I was bored and unpopular at school. Since elementary school, the bullies had teased me and hollered things like “Ugly! Stupid! Duh!” Although I was an attractive child and a good student, I was mercilessly picked on. To this day, I don’t fully understand why. Part of it might have been that I was no good at sports and no one wanted me on his or her team. Also, I lived in a very wealthy community—Piedmont, California—but my family was not rich. By the time I got to junior high, that might also have contributed to my unpopularity. Everyone knew who lived in a mansion and who did not. Finally, I did not have any extra curricular activities—no dancing lessons, no music, no art, no sports. If I’d had an activity where I could have excelled and been accepted by others, perhaps that could have bolstered my self-esteem and happiness enough to prevent the downward spiral of my adolescence. In addition to being a teen mother, you were a juvenile delinquent. How and why did you change and become a law-abiding adult? I was a troubled adolescent and very confused by the fact that I could see that adults were inconsistent and often wrong. 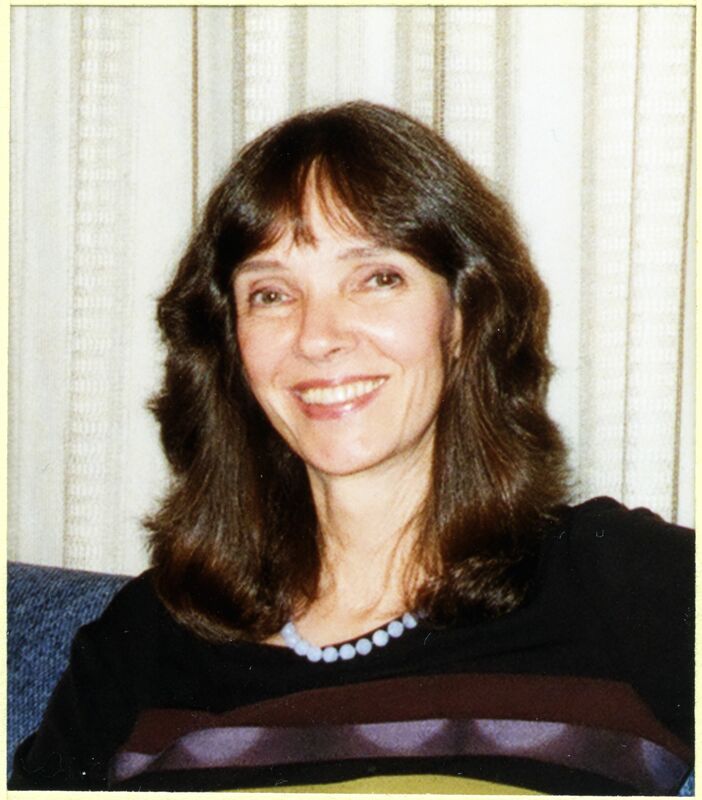 I witnessed racism, sexist educational policies (which were subsequently changed by Title IX), and abuse of my cousin, whom I call Jan in the book. Because adults were wrong about some things, I began to question everything and systematically test rules and social norms. Part of my personality has always been not to believe everything I’m told. As a teenager, this led to a lot of confusion about what was right and what was wrong that only experience and the improved reasoning ability that comes with maturation could rectify. Through experience and the process of maturing, I discovered that the adults had been right about many things after all, and I came to value such things as education and honesty, and to abhor violence. In some ways, I have always been the same person. For example, I was always highly motivated, determined, and goal-oriented. I was just putting all my energy in the wrong direction in seeking a husband as an adolescent instead of trying to do well in school. I also always knew I wanted to be a writer or artist—I just didn’t know how to do it. Although I felt big and bad at thirteen by owning a switchblade, it was symbolic: I quickly learned, when I was confronted by real violence—from my husband, his mother, and the Hells Angels—that it was not for me. What was the hardest part of writing your memoir? There were many hard parts. One part was the writing itself: sustaining a book-length narrative. Although I had published many short pieces—including poems, essays, short stories, and reviews—writing a prose book was different altogether, and I went through a process of trial and error as I figured out how to do it. Another problem was showing the complexity of the characters, especially my mother, father, and husbands. It’s pretty easy to write a scene in which a person comes across as mean, stupid, heartless, or a total jerk. It’s harder to show awful behavior and also include some of the reasons behind it, the person’s later changes, and his or her more admirable moments. It’s especially hard if you don’t feel like you are in possession of all of the explanations, but are figuring it out as you go. This was true not only of other characters, but also of myself. I don’t think I was simply a victim. I was also a perpetrator, prone to bad behavior and poor choices myself. How do you show your own bad behavior without having your reader dislike you and therefore lose interest in your book? It’s tricky to drag readers through the mud with you and have them appreciate it, keep rooting for you, and be happy when you get to the other side. I hope I have done this for most of my readers, but alas, I probably have not achieved it for all of them. Are there any memoirs you’ve read that particularly influenced yours? There are many, including two by other women who gave birth as teenagers: Riding in Cars with Boys: Confessions of Bad Girl Who Makes Good, by Beverly Donofrio; and Without a Map, by Meredith Hall. Other memoirs I’ve especially admired are The Liars’ Club and Cherry, both by Mary Karr; Angela’s Ashes, by Frank McCourt; The Glass Castle, by Jeannette Walls; This Boy’s Life, by Tobias Wolff; Stop-Time, by Frank Conroy; How I Came Into My Inheritance: And Other True Stories, by Dorothy Gallagher; and Autobiography of a Face, by Lucy Grealy. The memoirs I’ve admired most all have a fiction-like depiction of events, rather than analysis and explanation of everything, so that’s what I tried to achieve in my own memoir. That being said, I did try to include all of the elements of the story that would enable readers to understand and make sense of it. How has having been a teen mother and juvenile delinquent influenced the rest of your life? Ultimately, it did not adversely affect my getting an education or having a career as a writer and science educator. I went back to school, finished high school, and went to college and graduate school. Having a small child sometimes made it hard to study, but I got help from other parents and my mother. In some of my jobs, my background was actually an asset that gave me more faith in others than I might otherwise have had. For example, I taught chemistry and biology in a community college program to prepare remedial students for regular college work. I believed in these students and their ability to catch up, despite large gaps in their education, and they did not let me down. Although having been a teen mother did not, in the end, hold me back either academically or at work, it has affected my relationships with others, especially my daughter Liana, who was born when I was 15. Just as it isn’t easy to be a mother at 15, it isn’t easy to be the child of a mother who was 15 when you were born and is never more than 15 years older than you. I was still a kid when Liana was born, still figuring things out myself. She was resentful of my boyfriends and angry that her father wasn’t around, like those of most of her friends, and she went through a rebellious period herself as an adolescent. Fortunately, though, we got through both her teenage years and mine, and she is now a marriage and family therapist. I believe my background has also affected my relationships with men. There were some who dropped me like a hot tamale after our first or second date, and I can’t help but think that my background was just too weird for them, and there were others who were less than respectful. I can’t do a controlled experiment to prove that men have treated me differently because I was a teen mother, but after comparing notes with women friends, I’ve come to the conclusion that in some cases, they have. Even my present husband, with whom I have a wonderful relationship, admits that he was troubled by my background and that it was hard for him to come to terms with it when we first started going out. For him, there was a disconnect between the person he knew and was falling in love with and the person I once was. Ultimately, he was able to accept who I was as a teenager and understand how I grew and changed, whereas some people were not able to overcome being frightened, confused, or repelled by my past. What would you like readers to take away from your memoir? That juvenile delinquents and teen mothers are fully redeemable. I would like readers to come away questioning the old stereotypes that juvenile delinquents become adult criminals and teen mothers have no future. In the book, in trying to capture and reconstruct what I was thinking and feeling as a teenager and show how I changed as I matured, I hoped I was speaking for many troubled teenagers, not just for myself, and showing that they are fully capable of changing course and leading productive lives. Unfortunately, however, although I can show this is possible, I don’t have any formulas for making it happen. I think the key might differ according to the particular personality and circumstances of the individual. In some cases, having a mentor might make a difference. In others, nurturing a teen’s a talent for art, music, or sports might be the key. In all cases, bullying and emotional and physical abuse of children need to be prevented. This means recognizing what is happening, getting dysfunctional families into therapy, and having policies for zero tolerance of bullying at schools. I have known Lucy and Lianna for about 30 years. I have lived with Lianna when she turned 21 and though we don’t talk much there is still a love I have for Lianna and Lucy. I now have a 16 who is living with someone else and Lucy and I today have been corresponding on my daughters situation, she has just recently been informed on it and she is being very supportive in chatting with me about it. I also grew up in Piedmont a few blocks from where Lucy grew up and I also wrote an autobiography called “Were off to be Wizards” Lianna is it but out or respect for her privacy I changed her name in the book. I was also emotionally abused so it was interesting readings Lucy’s writing since I never knew that part of her. It was like I knew the ending being friends with Lianna and her mother but not knowing the beginning. There is a polorization with Lucy and I with are being abused but in the end they both ended up the same results with wanting to help people and Lianna also ending up with wanting to help people. I wanted to come listen to her Reading but I can’t make it, so I am glad I was able to read it here and put the pieces of Lianna’s and Lucy life more tangible. I knew alot of the characters, Lucy’s mom and dad, Lianna but now I understand a lot more of the dynamics. I have known Lucy and Lianna for 30 years. Lianna and I lived together when she turned 21. Reading Lucy’s interview I can totally relate, I was brougt up a few blocks in Piedmont from Lucy and I also was emotionally and psychically abused. I also wrote a autobiography called “Were off to be Wizards”. Lianna is it I changed her name to respect her privacy. I didn’t know Lucy was abused by her mother. Readings her excepts is like coming into the beginning of a movie after you saw the middle and the end. I love Lucy and Lianna and even though I haven’t seen them in years the love is still there. I now have a 16 year old who is living with another mother and I just recencently wrote to Lucy about it, she was supportive and helpful. I gave birth to my daughter in the bay area so they know my daughter before I moved up to Reno when she was 4. Lucy, Lianna and I are all in the healing field wanting to help people Lucy being a scientist, Lianna a family and therapist and me being a psychic healer we just all did it different paths but all having the same goal of passionately wanted to help people through writing, learning, teaching and healing. In my excepts of my autobiography I say we were all on journey to help ourselves , each other and others. I have alot of times thought about Lucy and my book and after reading this I now understand why, she defiantly has been a advocate for meaning people in many ways I will defiantly read her book , post and recomend to others. Ironically alot of my closest friends that I have now have all been teen mothers.